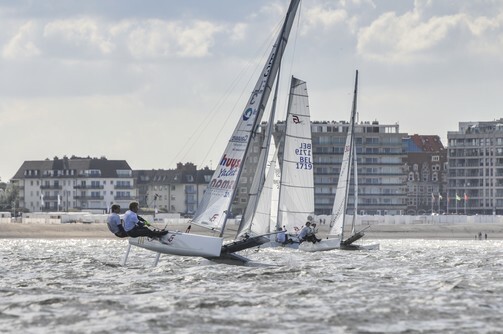 From July 16th till July 22nd, the Formula 16 Worlds 2016 will be held in Knokke-Heist (Belgium). The best international sailing teams will park their cats on the beach of this picturesque town. Expectations are high that a very competitive fleet will show up at the start. Online entry is now open! 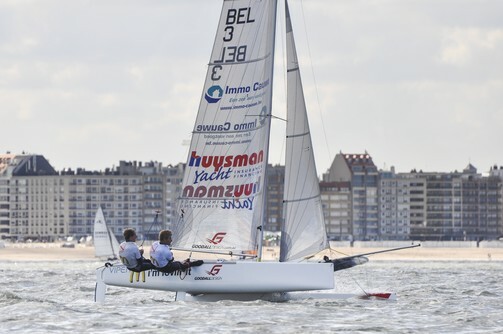 The Formula 16 Worlds will be hosted by the Royal Belgium Sailing Club (RBSC) which was founded in 1863. 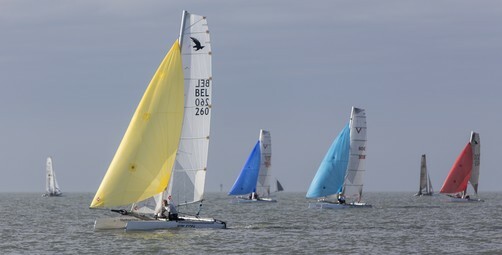 Participation is expected to be high at this edition with at least 50 boats racing in the waters off Knokke-Heist. 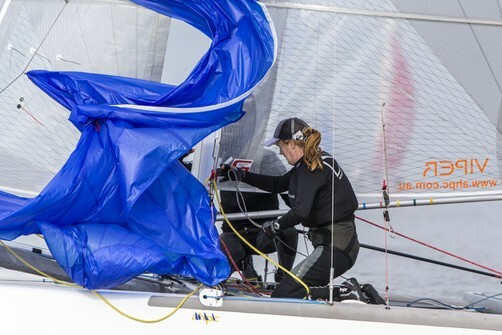 The RBSC is well known when it comes to hosting major sailing events including the Formula 18 Worlds, Dart 18 Europeans and Worlds, Orma Grand Prix (60 feet trimaran), Hobie Europeans, and the Laser Masters Europeans. So there is no lack of experience at all in putting on a world class regatta! 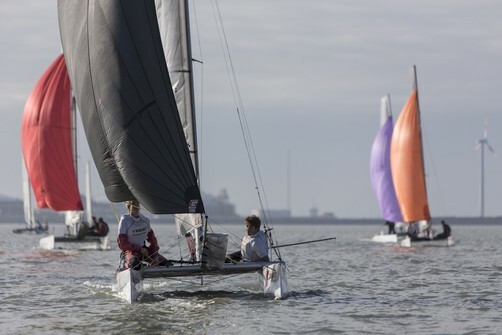 The Formula 16 is known as the high performance youth catamaran and works as a stepping stone for many young sailors to the bigger and even faster catamarans. The class was founded in 2001 and developed quickly; the first major international events were held in 2010. Every two years a Formula 16 Worlds is organized in one of the three continents (Europe, USA and Australia/New Zealand). In the in between years, national and continental events are held. 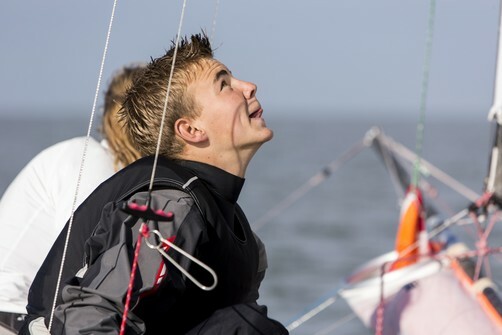 The Formula 16 catamaran is not only very popular among the youth, this class is also focused on recreational mixed teams (father/son, mother/daughter) as well solo sailors. In addition to racing, the social aspect is very popular; knowledge is widely shared on the beach accompanied with ample supplies of drink and food making for a beach holiday. What else do you need? The previous Worlds 2014 in Newport (USA) was won by the Australians Adrian Fawcett and Jesse Dobie. The Belgium youngsters of Henri Demesmaeker and Alec Bagué recently won the 2015 Europeans in Italy. Expectations are high for them; they literally grew up on the waters off Knokke-Heist. Entries are open now with an attractive early bird fee. The Notice of Race is also available and can be downloaded. • On Tuesday July 19th and Thursday July 21th a sailors diner is organized for all participants. • On Saturday July 23th the traditional Belgium ‘Zwin race’ will be held and is open for many classes. This race starts and ends in Knokke-Heist with a lunch stopover in Cadzand. The Formula 16 catamaran is produced by eight different builders in accordance with the box rule. This box rule is secured by ISAF. The Formula 16 Worlds 2016 is made possible thanks to our sponsors: The community of Knokke-Heist, Land Rover Belgium, DUO, Mc Donalds Belgium, BMC, Delen Private Banking and Flamand & Partners. Attached photos are free to use for editorial purposes. If you would like to receive higher resolution images for print please contact us.